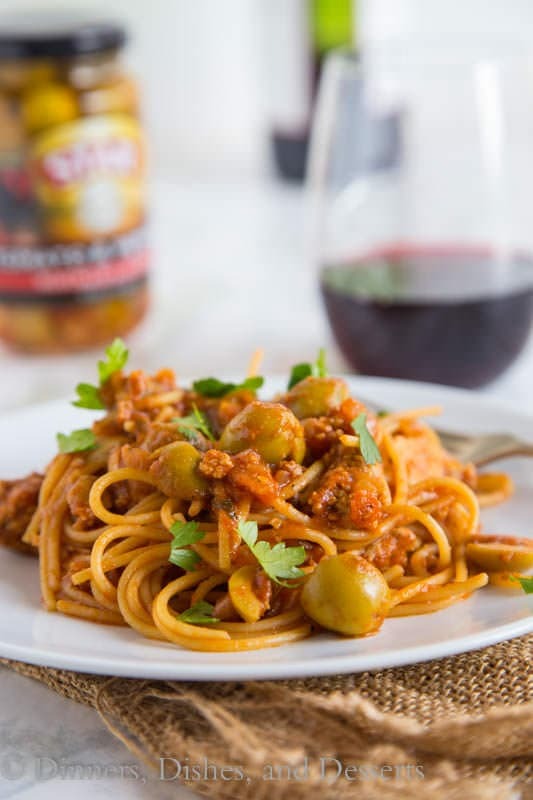 Spanish Spaghetti with Olives – a Spanish twist on your classic spaghetti with meat sauce! 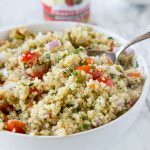 A quick and easy dinner the whole family will love! I hope that everyone had a great weekend! I was able to enjoy some much cooler weather, some gorgeous fall colors, and spend time with some amazing ladies. So it was a great weekend! If you ever have the chance to visit the Colorado mountains in the fall, you need to. The changing leaves on the Aspens are just gorgeous! Now it is back to reality. But it is almost like fall has arrived in Colorado….almost. The highs are only in the 70’s this week. After 80’s and 90’s for all of September I will take it! We have a lot of pasta at our house. 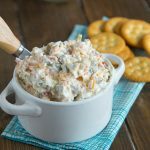 It is super quick and easy to make, and you can change up the flavors and dress it up any way you want. This time I decided to go the Spanish route. I added a few Spanish spices to my traditional marinara sauce and then added a jar of green olives. 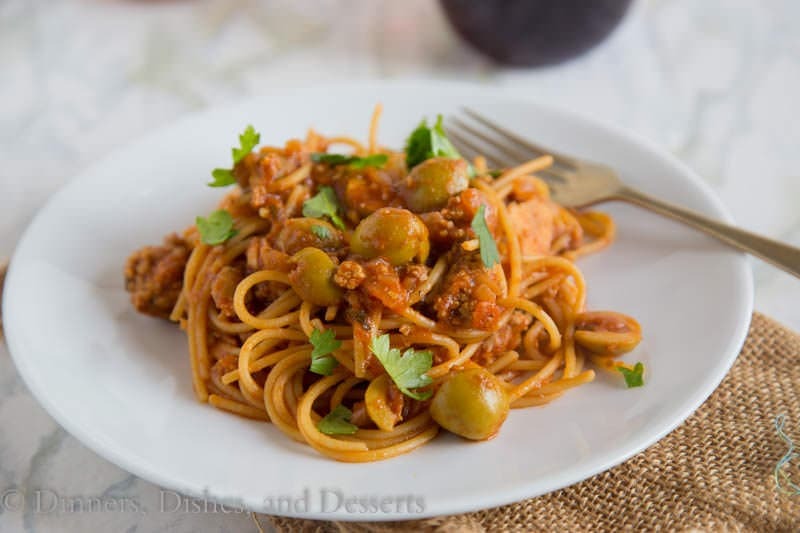 And voila Spanish Spaghetti with Olives is served! Dinners is still on the table in less than 30 minutes, you just made them think you spent forever on it! 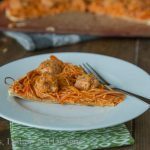 A great twist on your classic spaghetti dinner! 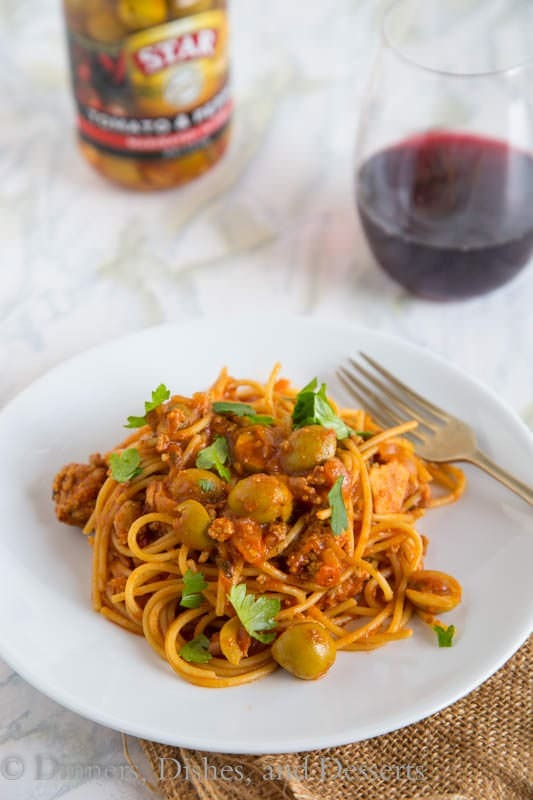 For this Spanish Spaghetti with Olives I used Star tomatoes & peppers marinated green olives. 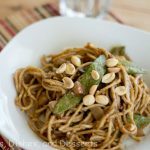 The olives add the salty, brinyness they are known for, but they all add tons of great flavor to the dish. 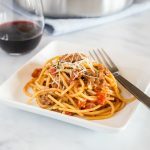 I made this Spanish Spaghetti for a friend. 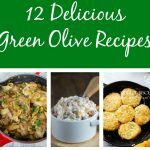 Her family absolutely loves green olives, and her boys are super into food. She said they absolutely loved this, all 3 of her boys went back for seconds! And if I can win over a 4 year old, I am pretty sure I can win over anyone! 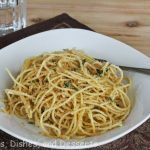 So add this Spanish Spaghetti to your menu, you will not be disappointed. 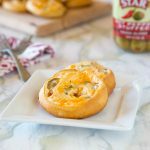 You can find the Flavor Destinations: Spanish (Tomato & Peppers) Olives are available at Raley’s and Walmart stores and are online at http://bit.ly/TomatoPeppersOlives. 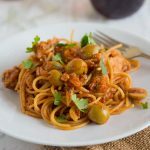 Spanish Spaghetti with Olives - a Spanish twist on your classic spaghetti with meat sauce! 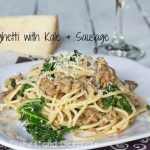 A quick and easy dinner the whole family will love! In a large skillet, heat olive oil over medium high heat. Add onions, and sauté for 3-5 minutes, until soft. Stir in garlic, and cook for about 1 minute. Add oregano, saffron, paprika; stirring to combine. Add ground beef to the pan, breaking apart, and cooking until browned. Pour in red wine, and cook for 2-3 minutes. 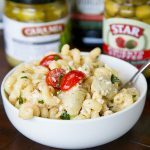 Add olives and pasta sauce and stir to combine. Let simmer for 10 minutes. Season with salt and pepper to taste. 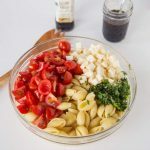 Drain pasta and toss with sauce to coat. 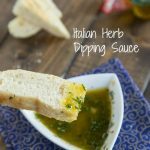 Sprinkle with parsley to serve. Ever consider that “she said” not to hurt your feelings? No. I know her and I know her kids. She is always honest about food to me, because she wants me to perfect the recipes that I share here. Not lie to me just so I have something to write.